Tips and tricks information about computer, windows, linux and android and more. 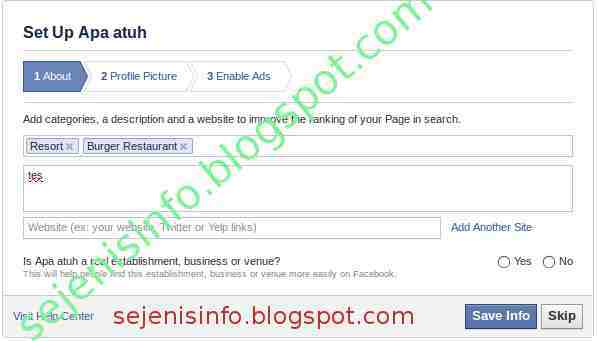 How to create a fan page facebook is easy and free, but not easy to get a lot of likes from others , unless we use third-party applications or websites or such kind of programs that a hacker can get likes fast , but it is an illegal act and violated the facebook terms and might your facebook account will be banned. Facebook fan page is required and there are also there is saying that the facebook fan page is essential to promote a product or industry and non- industry company , big or small that company our products can be found and known by many people . And more features from faceebok fan page now the url facebook fan page we can setting to our name page so the url will be shortening for example our facebook fan page name is www.facebook.com/page/kelxntxng/120993 so long and difficult to remember, now ca be shortened to www.facebook .com/kelxntxng, besides can be shortened fan page facebook just created can be indexed by google also. 1 . Log in to facebook . 2 . 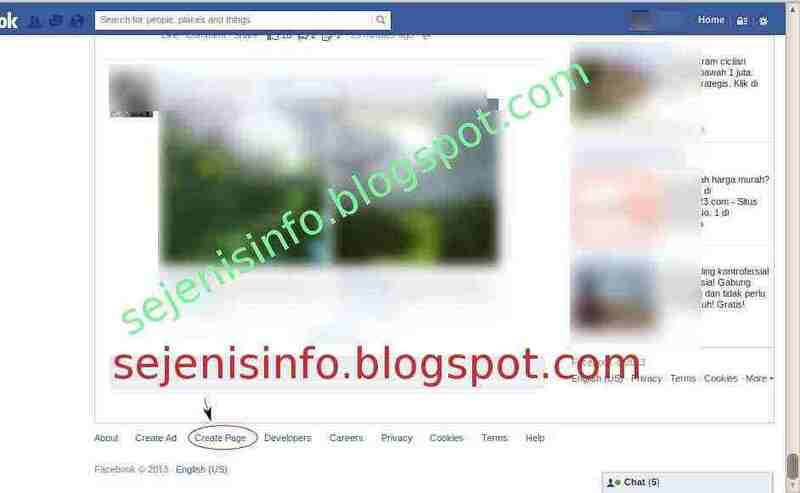 Then pull down tool bar on the right of your facebook site and there will be found a link "create page" you must fast to click on it or click here create facebook page. 3 . 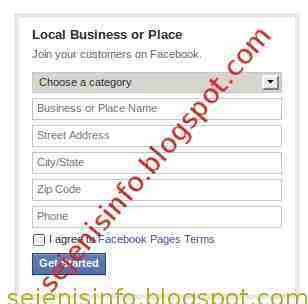 After entering and create your own page with section select what is to be made , there are places or local businesses , companies , organizations and more. See the picture below. 6 . After the box finish to fill and the name of your web if you have, click save info button and the new page to fill your profile picture and upload your photo to be used as your profile picture on facebook fan page if it is uploaded click save and then skip to straight to the page or to the facebook fan page . 7 . 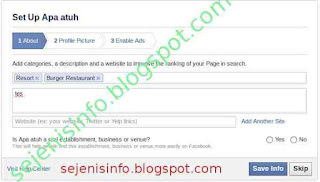 Start and follow the instructions that will be given by facebook. When uploading photo profile received a message like this " The image you tried to upload is too small . It needs to be at least 180 pixels wide . Please try again with a larger image . " This means that in the image are too small try to view or upload images bigger than image before. If you add a photo cover and when uploading in facebook page and receive the error message " Your cover photo needs to be at least 399 pixels wide . Please choose a different image . " 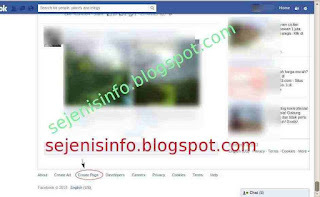 Try to increase the size of the image size should be made to add a cover page on facebook fans is around 840 x 349 or 315. 9 . The last part is the hardest part of finding the "likes" for your own fan page, try to invite your friends to like your facebook fan page. 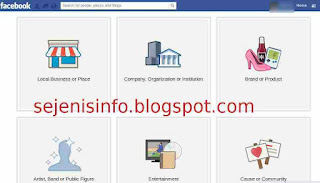 Once we have a fan page facebook and have a lot of members or who like our page then the next step is that we can promote to do business online, and we were able to get a lot of benefits that can get.